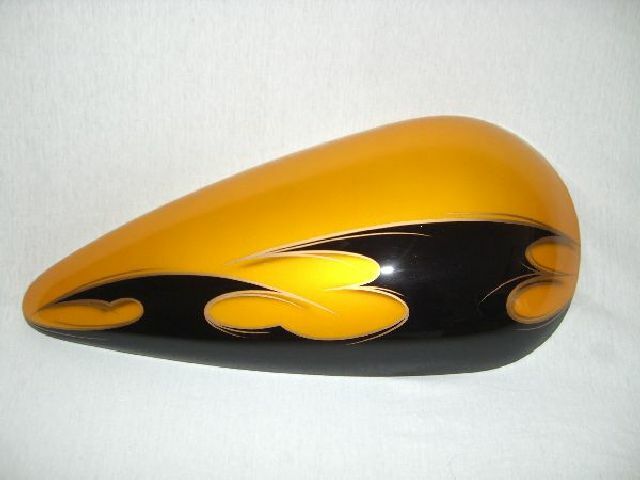 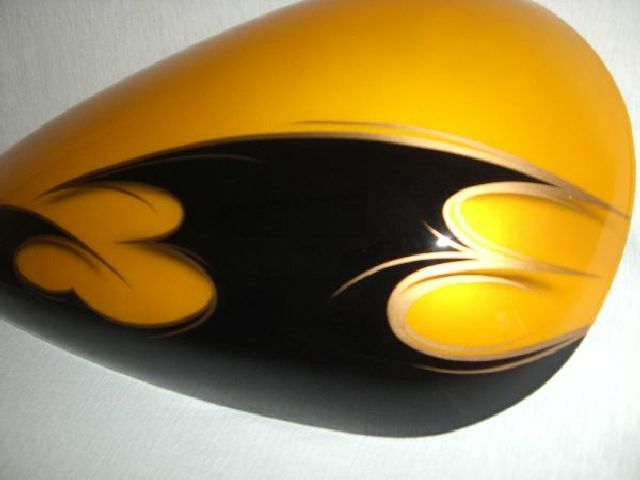 Less is better a simple two tone graphic that will compliment your Harley. 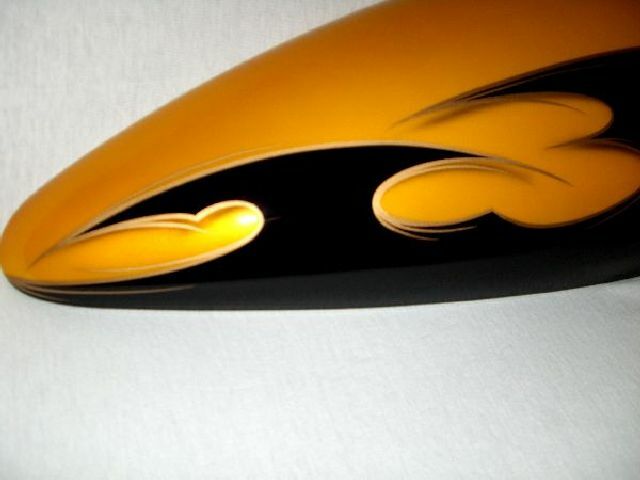 This particular graphic has a Pearl Yellow on top with Black Base on the bottom with a Chicken Scratch Pinstripe in Gold. 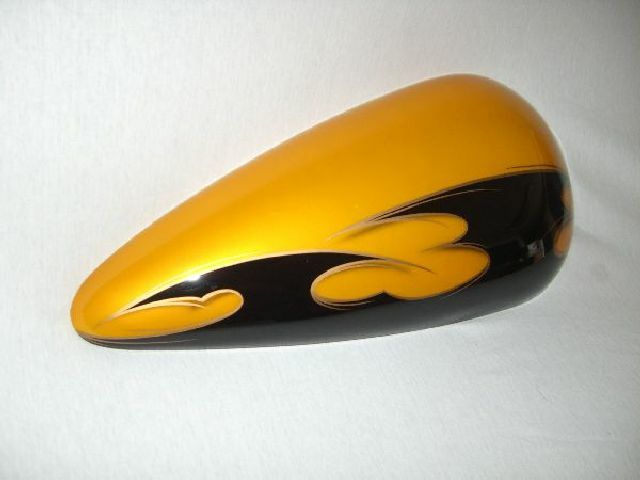 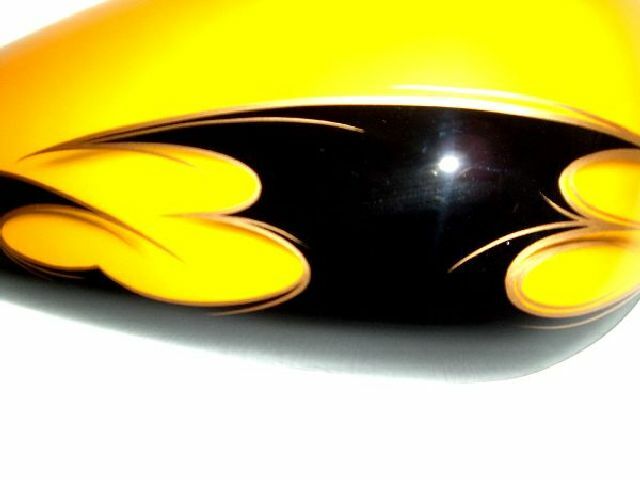 Pearl Yellow might not be your first choice, that is fine pick a color you like along with a pinstripe color and C.R. 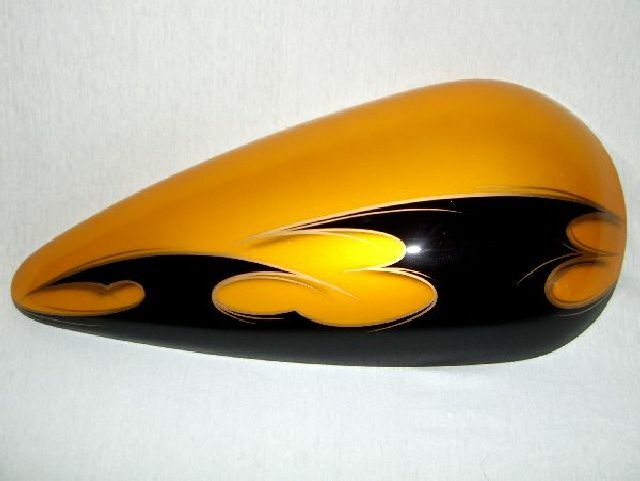 Designs can get started on your Paint Set today.